Any recommendations would be most welcome. Thank you! There is the Red 17-50mm, it is a little over your weight limit at 3.2 lbs but can be found for well under $3k. Still too heavy. A 20 or 25mm mm single prime lens would work well. But thank you for your comment. Zeiss Compact Primes should work fine on a film camera. Zeiss even mention their compatibility with both film and digital in their promotional material, but you could contact them to make sure they definitely clear the housing of an Arriflex 235. The only other lenses I can think of in that price bracket that are around 1kg or less are the Sigma primes, which should be fine optically but again you might want to check that they clear the camera housing. Maybe take the camera to a rental house and test what they have. You might find renting an older lens like a Zeiss Standard Speed is an option. Thanks Bruce. The project will stretch over a period of time and depend on the weather. I need the lens to be on standby and renting would be too limiting. Hey Dom, I just had an email from Zeiss (on a Sunday!) and they confirmed that the CP.3s were designed to work with analog cameras. I'll pick up one of those and will post the results when I've got them. I've used the CP2's with film cameras, but I'm not much of a fan due to the cost. It really depends on what features you're looking for in a lens? If you want a fast wide angle lens, that's going to cost a lot of money vs a slow longer or standard 24, 35, 50mm lens. I could only afford what I bought, which were the Rokinon Xeen's and let me tell ya, nobody can tell what they are with the final footage on film. People spend so much time focused on glass, they kinda forget that most glass is fine. 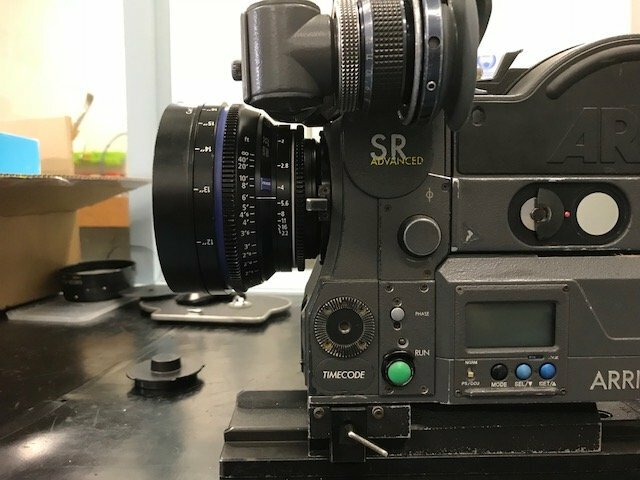 I had some college kid argue with me about my recently serviced Optar primes "not being good enough" for his student film. It's that kind of attitude which kills me. I'd rather have three lenses that work, for the price of 1 lens that doesn't do anything better, but has a more recognizable brand name on the side. Thanks Tyler, that is interesting to know. It is difficult to find 35mm footage shot with the modern lenses you mention online. Sorry to hear about the college kid know-it-all. If you wanted to able to zoom a bit Sigma 18-35 cine zoom .. just over 3 lbs..but pretty small.. good for HH.. 180 degree focus.. very close near focus.. T2.. doesn't have the breathing of the 50-100.. and should be around £3K .. I have this lens and you can HH it for ages .. if you need a very light weight Mattbox.. Wooden Camera have a new one ..Zip Box Pro.. just out .. about $500.. I have the swing away version.. super light.. takes filters etc.... its a very light weight and cheap combo.. Thanks Robyn! Is the Sigma zoom compatible with analogue cameras? 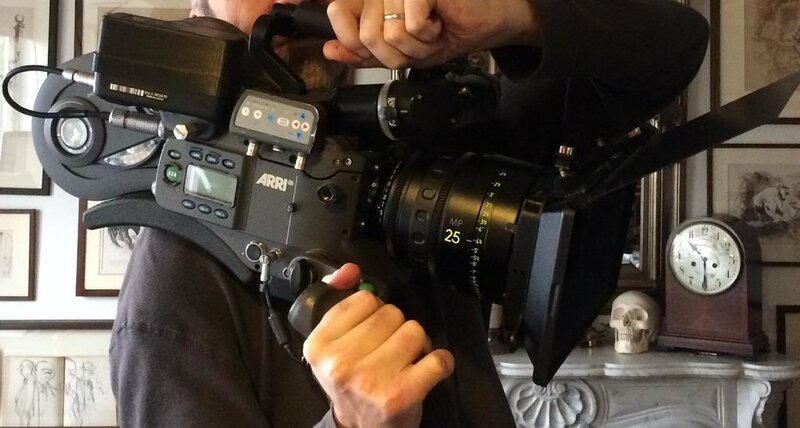 I've got an Arri LMB-25 matte box. Is the Zip Box Pro lighter? Oh yes much lighter.. it really seems to weight nothing .. I just got one specifically to be as light weight as possible.. I had a Bright Tangerine atom.. but didnt like the rubber hood.. this one is all solid.. Sorry Im not 100% sure .. better check with Sigma / Rental house.. but def PL mount version.. thats what I have..not sure your rig but personally I don't want a follow focus on board if Im doing my own focus hand held.. the cine primes will be impossible to focus by hand only..with super long travel .. but thats just down to taste ..
Just to add.. the flag is removable .. they dont mention in the video .. Thanks Robyn! I'll check with Sigma. The matte box looks and sounds super light indeed. Thanks Aapo, that's an interesting suggestion. I actually want to stay away from glass that might have too much distortion. This afternoon I looked at a CP.3 and I have to say that they are surprisingly light. Very tempting. Schneider Kreuznach Cine Xenon Vintage lenses, specially the 28mm. It is, probably, one of the lightest lenses out there that you could buy, I owned a set many years ago and I loved them.. and I just found the one below on ebay! Excellent! Thank you for the link! Looks terrific. Tyler mentioned that the Rokinons didn't clear the housings of certain film cameras like the Arriflex 2C and 35-3. I wonder if that means they would also have problems with a 235? Thank you for the link. I did a search before posting but obviously missed this one. Tomorrow I will be receiving a CP.3 and shoot some tests at the weekend. I'll share the results when they're in. Yea there are issues for sure, I had issues mounting them to the IIC because the mirror angle is more steep then the other cameras evidently. Some other lenses have issues with iris adjuster hitting the PL mount and on the SR's, they hit the viewfinder of course. In the end I did buy a 25mm Zeiss CP.3. I left my house to walk around Camden Town, just to see how easy it would be . Just me, the Arriflex 235 and the CP.3 with an LMB-25 and a camera bag. Great little lens. I look forward to the summer.